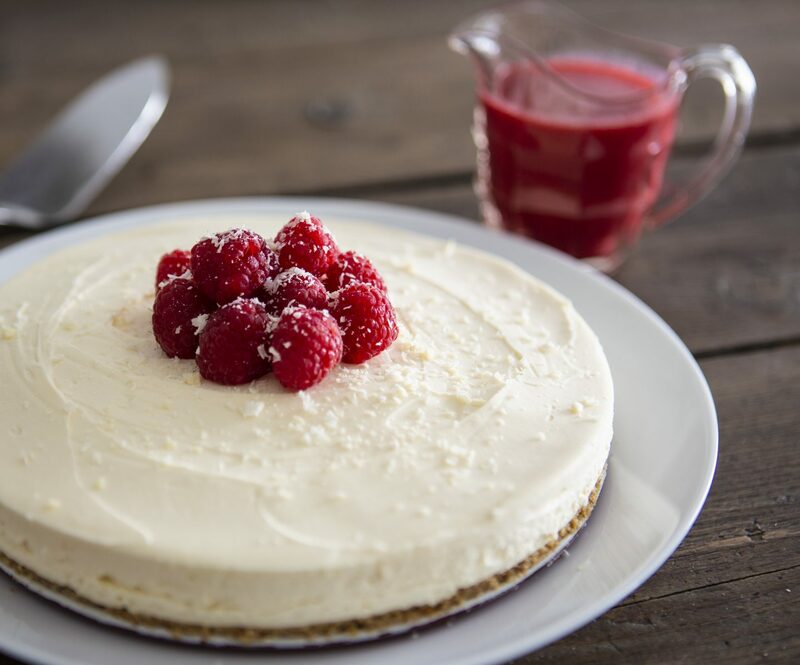 The velvety, smooth, light and creamy texture of this gluten free, no bake cheesecake is out of this world. 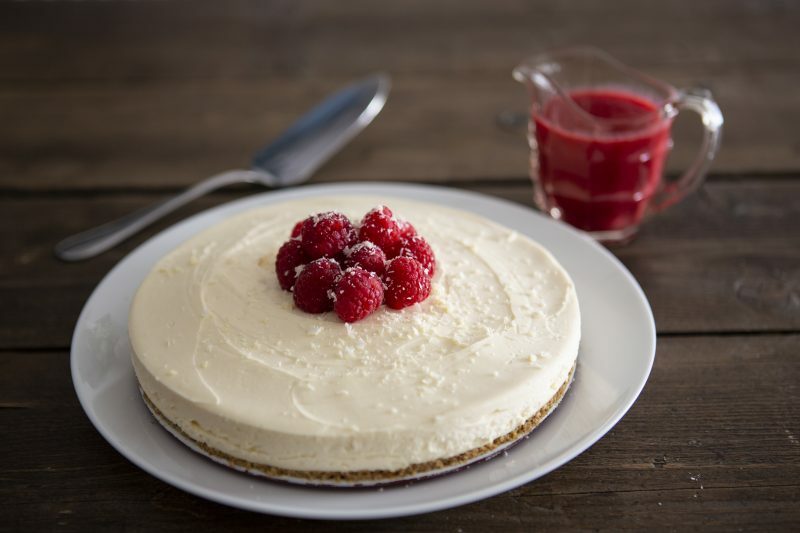 The coeliac friendly buttery biscuit base and tart raspberry coulis complete this delightful dessert. It is straight forward and incredibly delicious. Give it a go! Grease a round springform tin. Line the base of the tin with a circle of parchment (to prevent sticking). Either with a rolling pin inside a plastic bag, or in a food processor, crush the biscuits to make fine crumbs (but that still have some texture). Melt the butter, either in a bowl over a pan of simmering water, or in the microwave (stirring frequently). Combine the melted butter and biscuit crumb, before pressing it into the base of the prepared tin, using the back of a spoon. Even out the mixture across the base, then leave to set in the fridge for at least half an hour. Whilst the base chills, make the filling. In a bowl over a pan of simmering water, slowly melt the white chocolate until smooth, before removing from the heat and setting aside for 5 minutes to cool. Next, whisk the cream cheese until soft. Then in a separate bowl, whisk the double cream until thick, but doesn’t hold its peaks. Fold together the cream and cheese, before finally adding the melted white chocolate, the lemon juice and the vanilla extract. Once the filling is fully combined, spoon it on top of the biscuit base and even out using a spatula. Leave to set in the fridge for at least 6 hours, or ideally over night. To make the coulis, heat 200g of the raspberries (set aside the other 50g to decorate the top), icing sugar and lemon juice in a pan until the raspberries start to break down. Use a spoon to smash them up a little. Transfer to a food processor and blitz to get it as smooth as possible. Next, sieve the liquid to remove the seeds and leave a smooth sauce. Pour into a jug and refrigerate for an hour before serving. 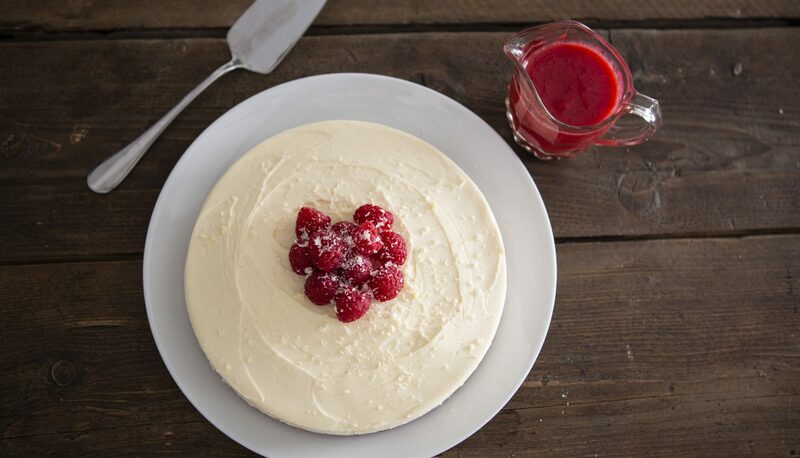 Finish the cheesecake with the remaining raspberries and a little grated white chocolate. 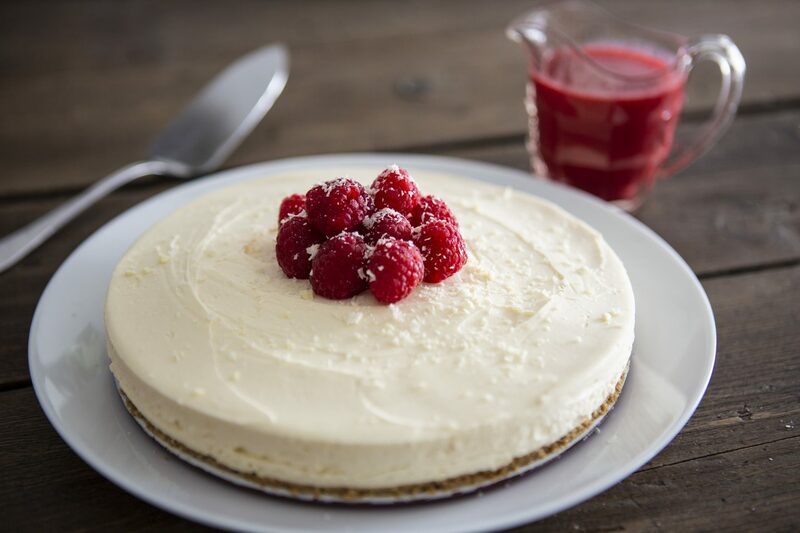 This gluten free cheesecake really is a showstopper that the whole family will love (gluten free or not!). 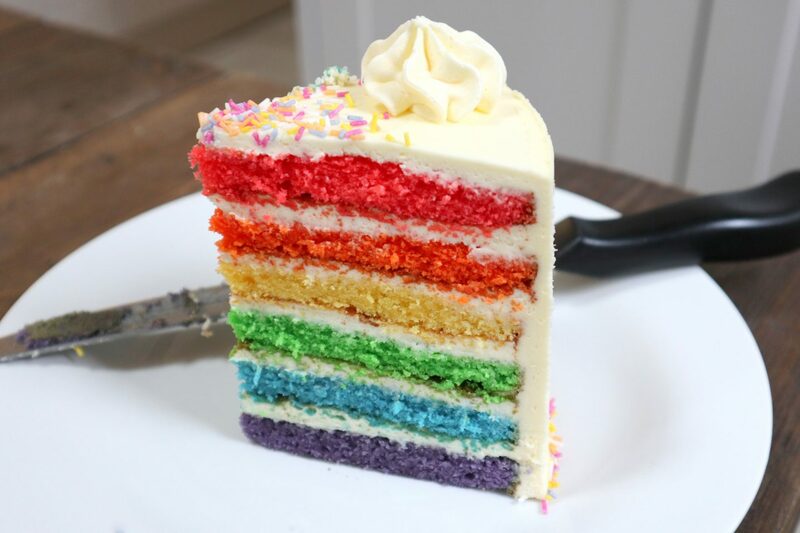 I hope you love this dessert as much as I do! Let me know which gluten free recipes you would like to see next.